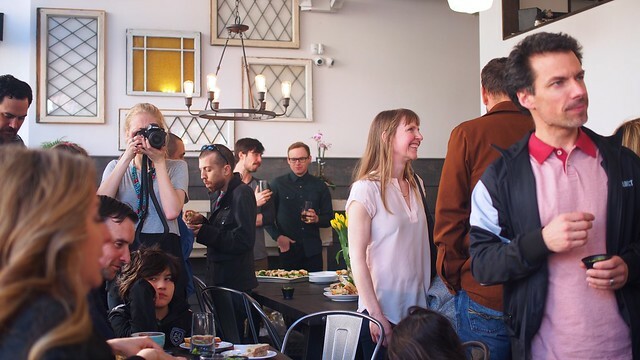 Coffee break at Prado Cafe's new location and grand opening party in Gastown on April 1, 2015. 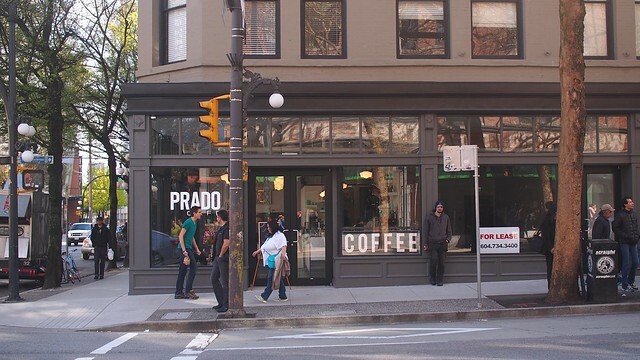 Prado Cafe has expanded their operations from the original Commercial Drive shop to a brand new, second location on the central corner of West Hastings and Abbott Street inside the new Argyll Building in Gastown. 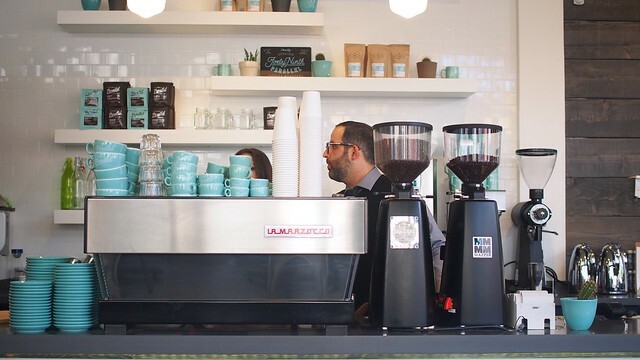 From owner and award-winning barista Sammy Piccolo (who started Caffè Artigiano before selling it off and taking over Prado), the new cafe serves the same, well-known 49th Parallel coffee beans in those trademark blue cups. 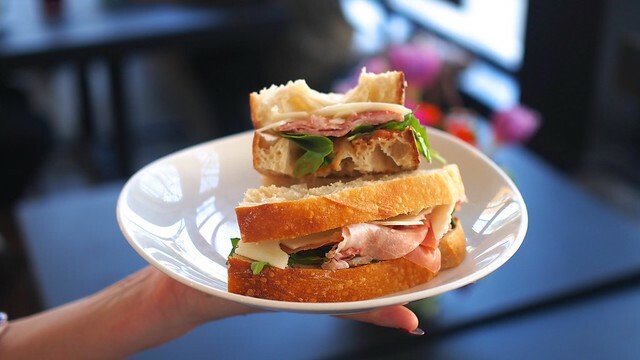 Paired with their coffee is a fresh menu and selection of comforting sandwiches. 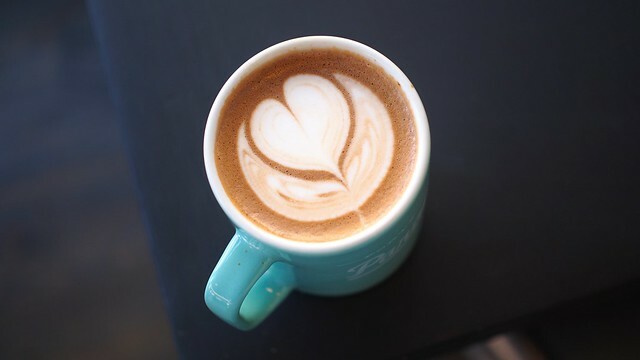 As for the coffee, their cafe mocha (above) had a nice, not too sweet coffee and chocolate balance, while the macchiato (very top) was well-brewed, strong, and crisp. The interior lets in so much natural light with floor to ceiling windows all around its corner locale. 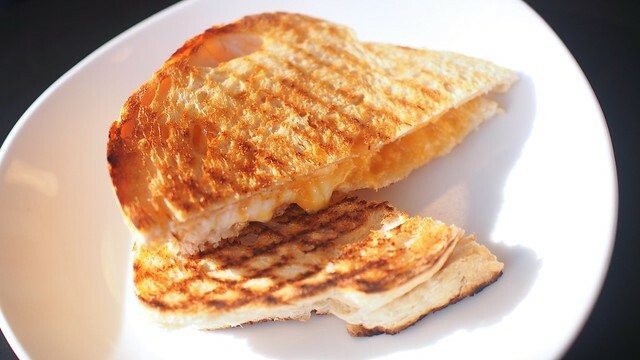 My highlight was the delicious grilled cheese (on sourdough bread with medium-aged cheddar, fresh mozzarella, asiago, and Romano cheese) in all its cheesy glory. 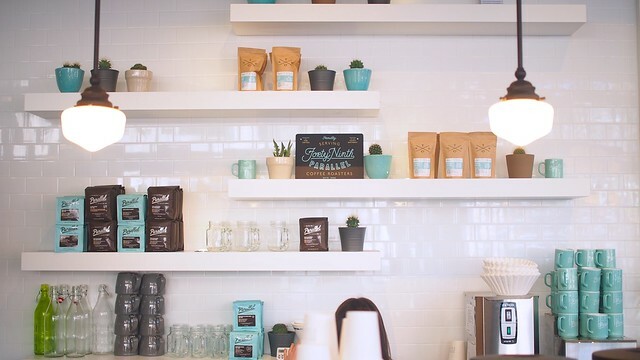 Prado's new location is already bustling and full of coffee seekers with its warm, inviting atmosphere. 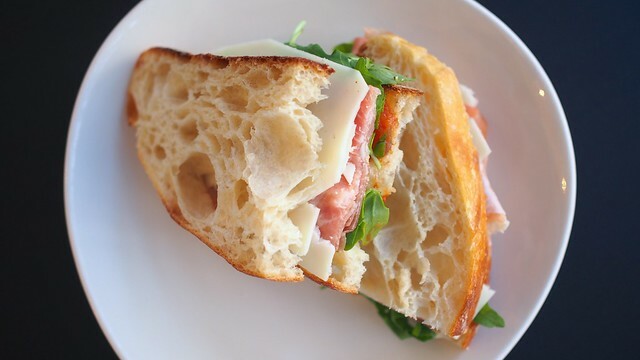 The prosciutto sandwich (also on sourdough with manchego cheese, tomato, caramelized onion jam, and arugula) was quite tasty and comforting. The Lana (on cranberry bread with brie, honey caraway butter, pear, and arugula) was another tasty effort but a little too much for my taste. 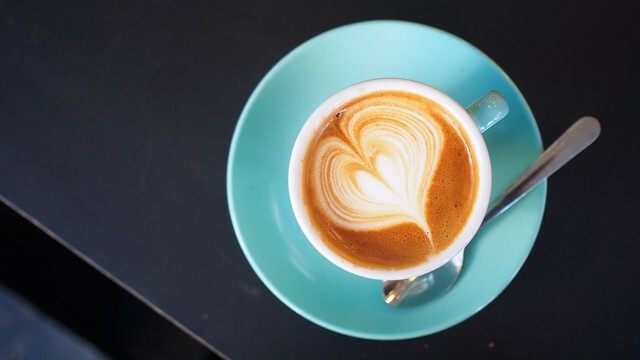 It's already a hot spot for cafe goers and plans are already underway for Prado Cafe's third location in the Kensington–Cedar Cottage neighbourhood to open sometime in the near future.